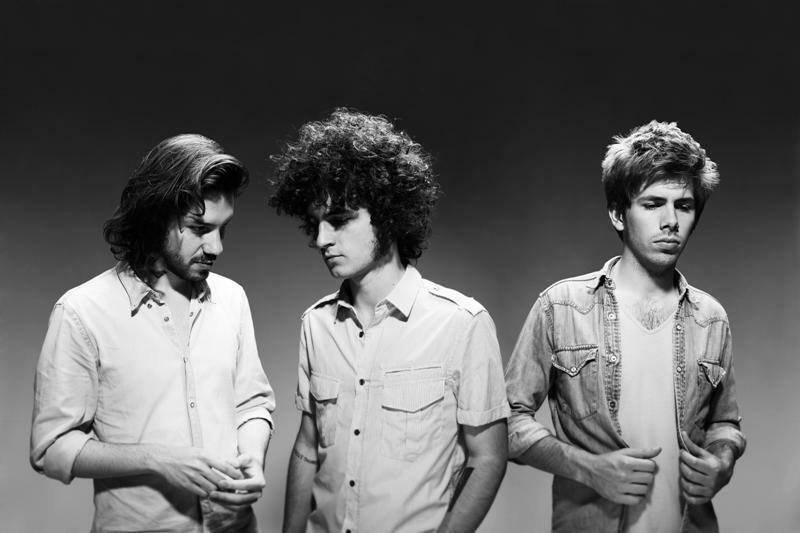 French trio Revolver have a busy spring coming up. The group will be touring North America, their debut US tour, with stops at SXSW and our own lovely city. They'll take the stage here in New York at Mercury Lounge on Saturday, February 26. Click HERE for tickets to their upcoming shows. Revolver have an EP, Parallel Lives, coming out next Tuesday, February 22. The trio has harmonies that reminds one of Simon & Garfunkel and Crosby, Stills & Nash. They particularly remind me of the latter on "Losing You" from the EP. If you like your music with a folk vibe and enchanting harmonies, they're a band to check out. For a taste of the upcoming record, scroll down to the bottom of the post and get "Parallel Lives" in our MP3 Grab. Revolver know who they are. Ambroise Willaume (vocals, guitar, piano), Christophe Musset (vocals, guitar) and Jérémie Arcache (cello, vocals) are three early twenty-something Parisians. Frenchmen with an abiding love and understanding of some of classical music's greatest ever Englishmen. They are classically trained too, but also a French band who sings in English, and named after a Beatles album. They've earned a reputation for creating beguiling, beautiful, hypnotic slices of chamber-pop. The band recently paid a visit to MTV Iggy for a live session that can be found HERE. Check out "Luke, Mike & John" from the session below. MTV Iggy Live: Revolver -- "Luke, Mike & John"